When I started thinking about self defence in 2011 I was 24 years old and found myself in a rough boxing class, guys who trained themselves to fight around football-games.. But I realized fast even on there street-boxing training have been rules and lots of limitations, but I was looking for the most effective way of fighting that exists and asked a friend with more than 20 years of experience in different martial arts, Karate, Kali and Thai Boxing: what is the most effective way of self defence?? And he said “Krav Maga”. 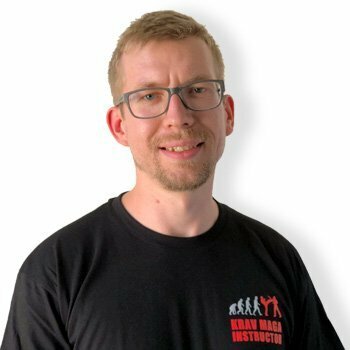 Next week I visited my first class of Krav Maga and from that moment I was addicted to it, did my Civil instructor Course two years later and have been to Israel a several times. Best decision ever. Krav Maga is not just a method of self defence, it’s a way of life.